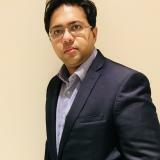 Abhishek Chatterjee is the Founder & Chief Executive Officer of Tookitaki. He has done Masters in Applied Mathematics from USC and was a quantitative analyst on the US swap desk with JP Morgan, New York and was an algorithmic engineer with Double Click (Google). At Tookitaki, he works closely with the business development, product and overall business strategy. Check out the incredible speaker line-up to see who will be joining Abhishek .